Wise words from Her Royal Highness Crown Princess Victoria’s speech at the Multi-Stakeholder SDG Forum! 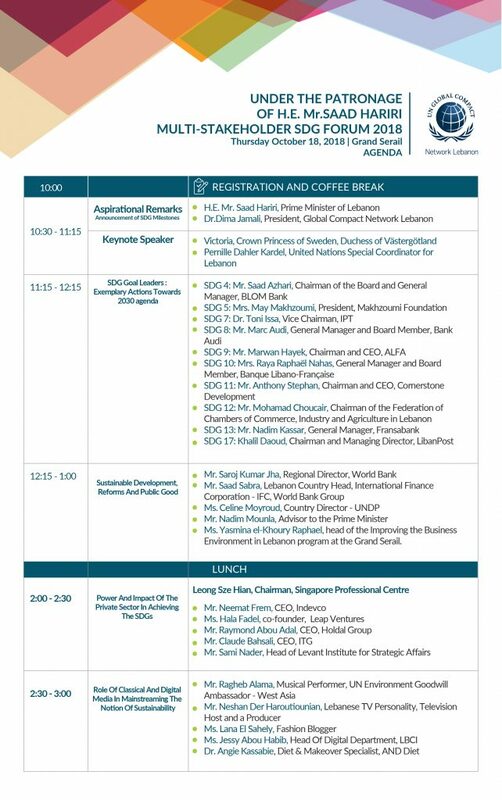 Here is a glimpse of the Multi-Stakeholder SDG Forum 2018! Thank you for sharing this memorable event with us! To many more achievements, and journeys around responsible sustainability to come! Wise words from Her Royal Highness Crown Princess Victoria’s speech at the Multi-Stakeholder SDG Forum! It was an honor to have had this influential guest Speaker add knowledge and inspiration to our event! Whether you are a small company, a start-up or a large business you are subject to corruption! The Tenth principle on Anti-Corruption was implemented in 2004 to encourage companies to avoid bribery, extortion and other forms of corruption and implement policies and programs internally! This principle also coincides with SDG 16: Peace, Justice, and Strong Institutions that focuses on ensuring transparent, efficient, and accountable institutions at all levels! Guest Speaker add knowledge and inspiration to our event! At the UN Global Compact, we are seeking out people who are turning Global Goals into local business and in doing so we want to motivate many more. Each year we identify a group of SDG Pioneers to shine a spotlight on individuals who champion sustainability and are mobilizing companies to be a force for good. We invite you to join us on this journey and become a pioneer in the new SDG era. We recognise that eradicating poverty in all its forms and dimensions, including extreme poverty, is the greatest global challenge and an indispensable requirement for sustainable development. We are determined to end poverty and hunger, in all their forms and dimensions, and to ensure that all human beings can fulfill their potential in dignity and equality and in a healthy environment.